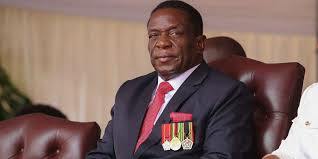 President Emmerson Mnangagwa has waded into the Samambwa chieftainship wrangle after he dethroned David Samambwa, who was installed by his predecessor — Robert Mugabe — a year ago. David was appointed chief by Mugabe in October 2016 after his younger brother Samuel Samambwa had been erroneously installed the previous year. However, after serving for nearly one year as chief, David was dethroned by Mnangagwa, who reinstalled Samuel — the brother — last week on the grounds that he was in fact older than him, contrary to what their national identification cards suggest. With chiefs known to be partisan to the ruling party, despite a constitutional provision that prohibits them from participating in politics, Samuel is reportedly a strong political Mnangagwa ally. He is also uncle to Zanu PF Midlands youth chairperson Edmore Samambwa, who was once expelled from the ruling party for supporting Mnangagwa to succeed 93-year-old Mugabe. Ironically, while Samuel is said to be older following enquiries with the community, according to documents in possession of the Daily News on Sunday, he is younger brother to David. According to the documents, Samuel was born on March 23, 1932, while David was born on January 28, 1932. The duo’s father was a polygamist, and Samuel is from the bigger house while David is from the second wife. However, Samuel’s brother, the late Peter Muvundi, was the chief, which disqualifies him to take over. Mugabe appointed David on October 20, 2016, removing Samuel. But after his takeover as president, Mnangagwa came in and reversed Mugabe’s decision. “The Cabinet has the honour to recommend that His Excellency, the President may be pleased, in terms of Section 3(3) of the Traditional Leaders Act (Chapter 29:17), to remove David Samambwa as substantive chief Samambwa in Kwekwe district, Midlands province, with immediate effect,” Cabinet minutes seen by the Daily News on Sunday read. In recommendations which were attached to the minutes, Local Government minister July Moyo argued that Samuel was older than David. “Notwithstanding this appointment, some members of the Samambwa chieftainship had already inundated the then ministry of Rural Development, Promotion and Preservation of the National Culture and Heritage objecting to David Samambwa’s nomination as it violates the Samambwa succession custom as he is not the eldest surviving son. “Owing to unrelenting follow-up by both Samuel and David camps respectively, a verification team set by the ministry of Rural Development, Promotion and Preservation of the National Culture and Heritage held a meeting at Donjane St Georges Primary School on the 19th of August 2016 to ascertain the one who is culturally older between David and Samuel Samambwa,” Moyo said. “At the meeting on 19 August 2016, Donjane St Georges Primary School all the Samambwa houses were satisfactorily presented. Speaking to the Daily News on Sunday, Tarirai Samambwa, who is backing David, alleged that Mnangagwa is being misled. According to the Zimbabwean Constitution chapter (15), suspension of chiefs must be done by the president on the recommendation of the provincial assembly of chiefs through the minister responsible for traditional leaders.